February 1st at the Alter St. 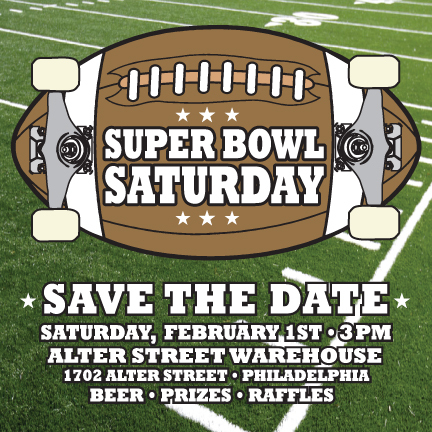 Warehouse it’s Super Bowl Saturday! Beer — Prizes — Raffles! 1702 Alter St — Philadelphia. Save that date!